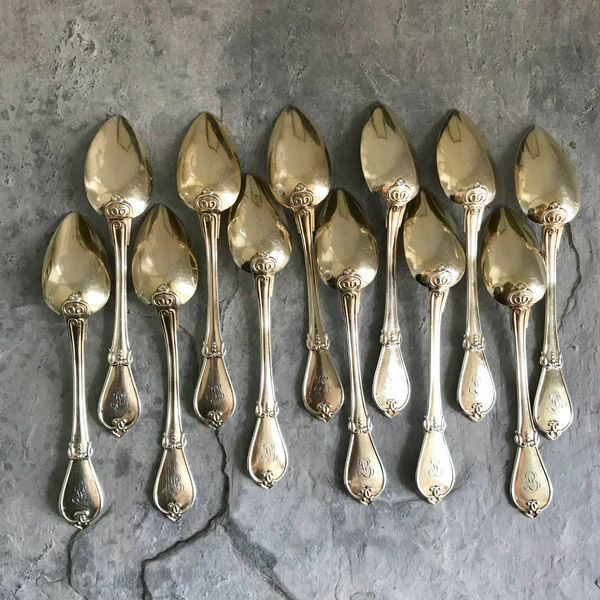 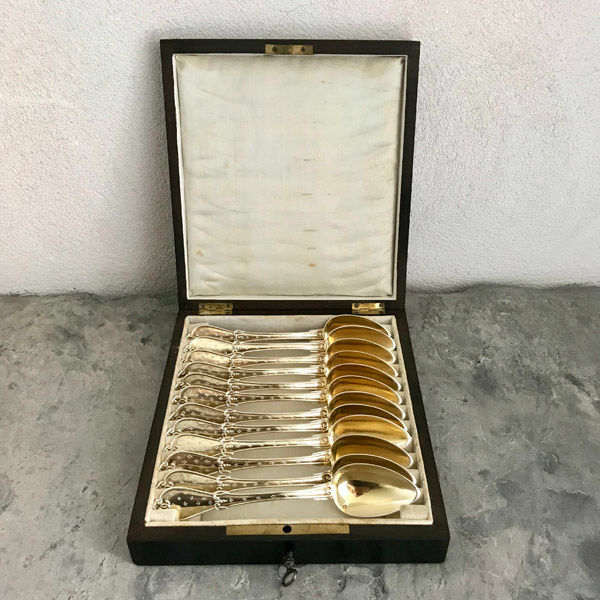 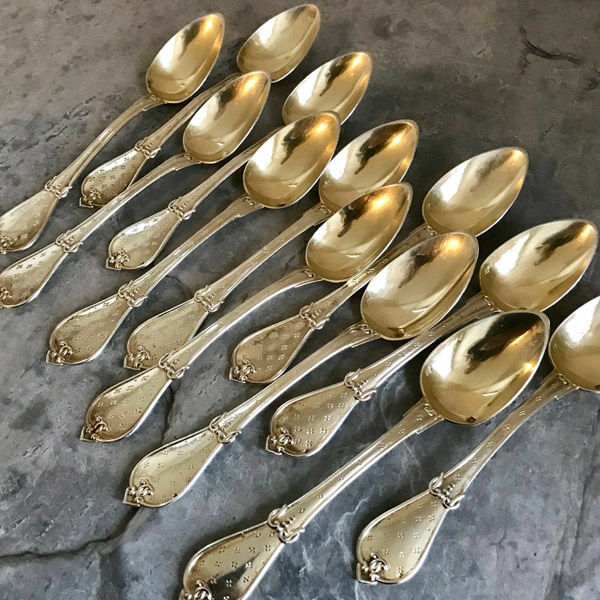 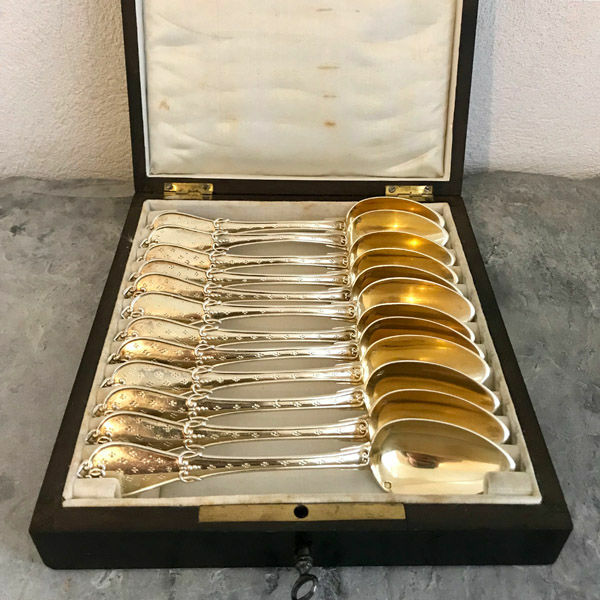 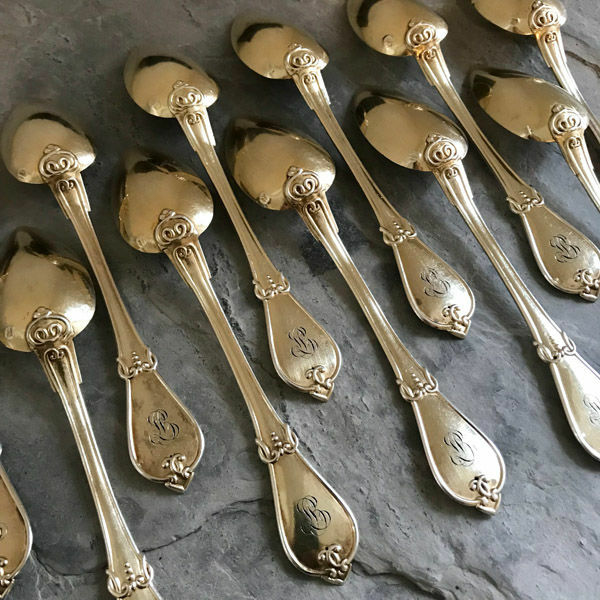 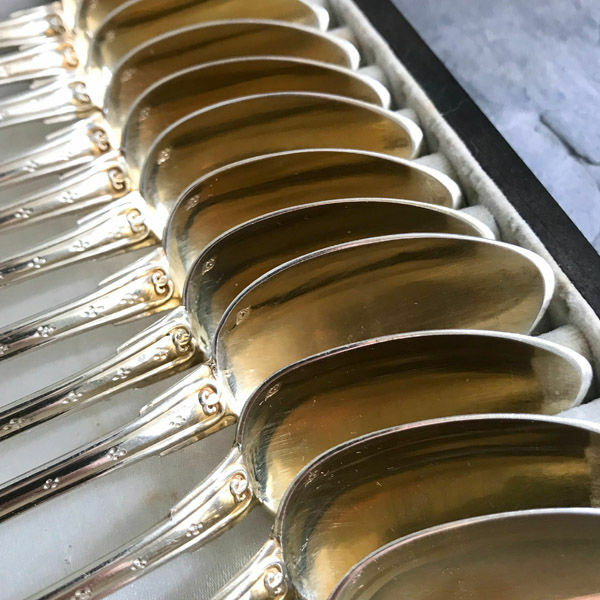 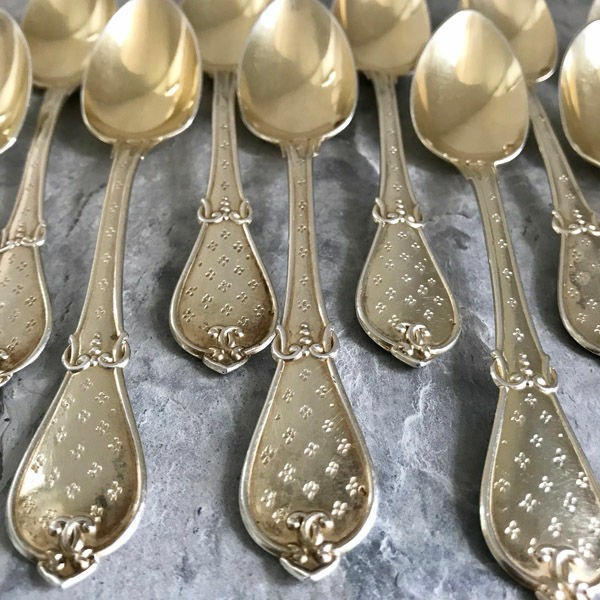 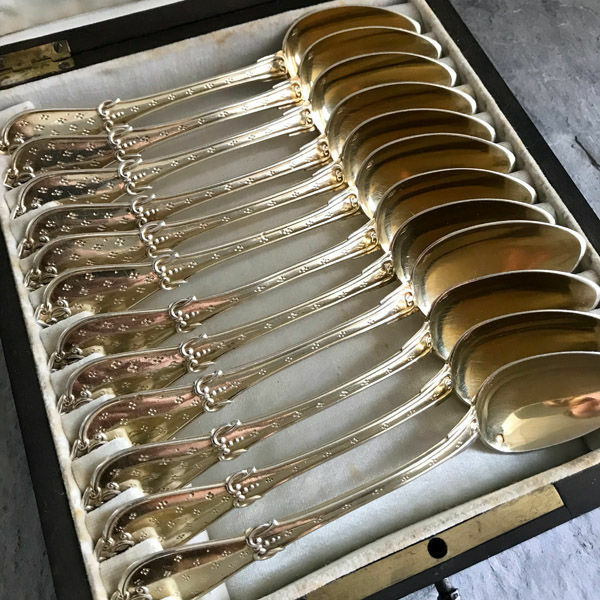 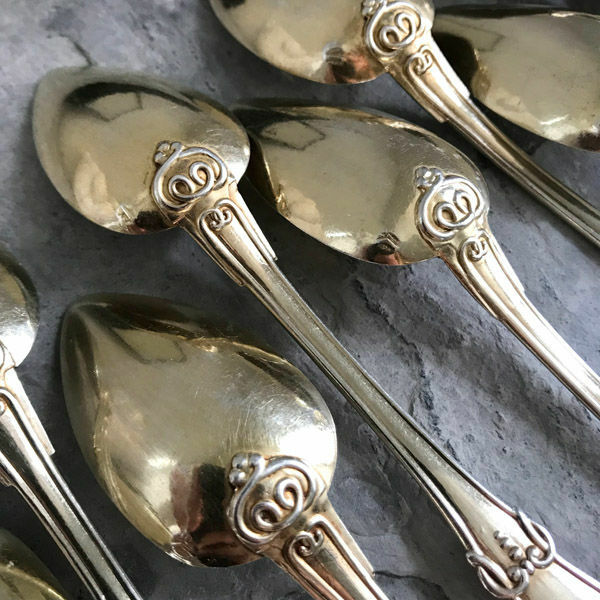 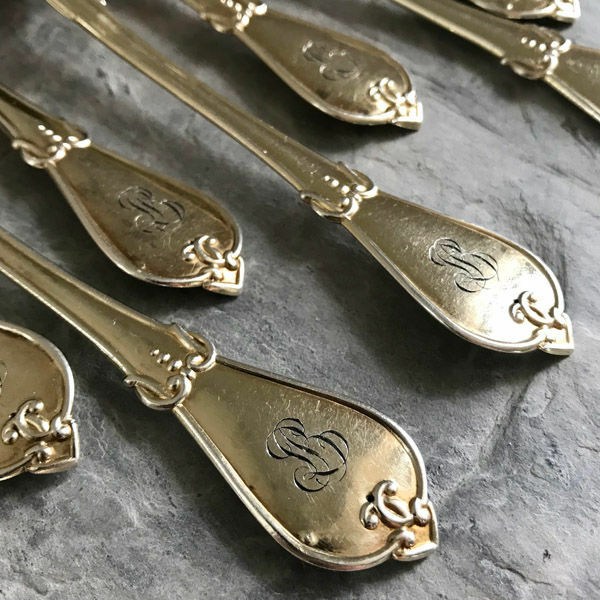 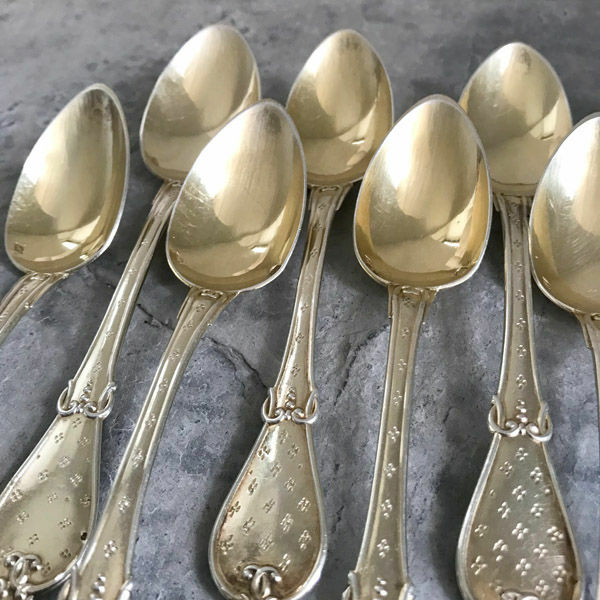 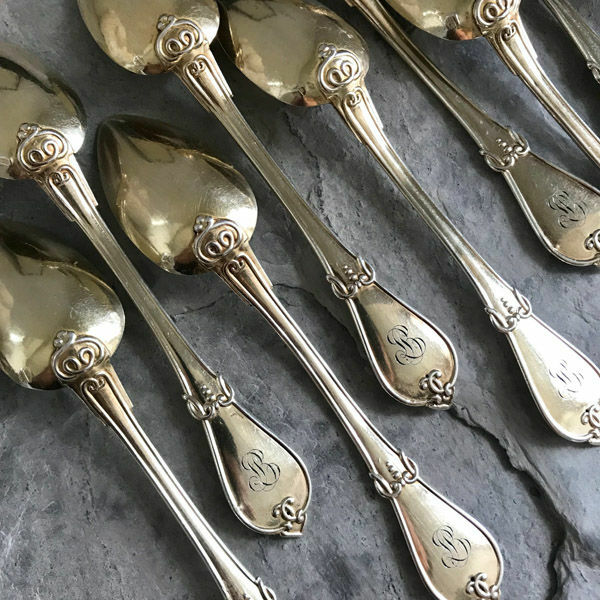 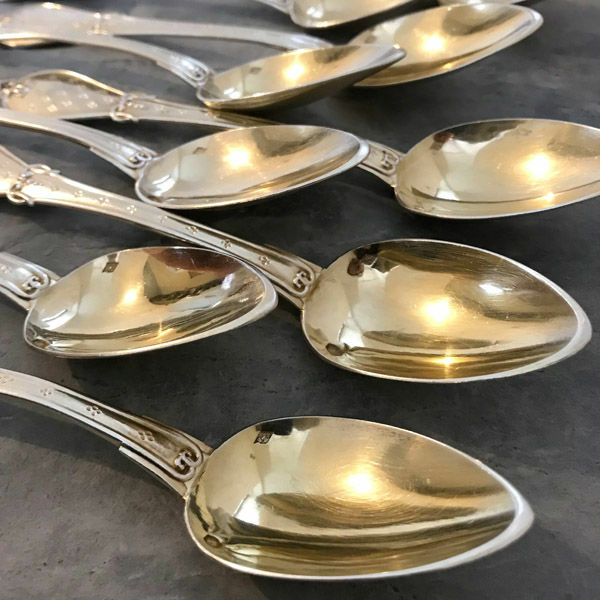 Set of 12 silver-gilt teaspoons numbered with a pretty star pattern and Arabesque. 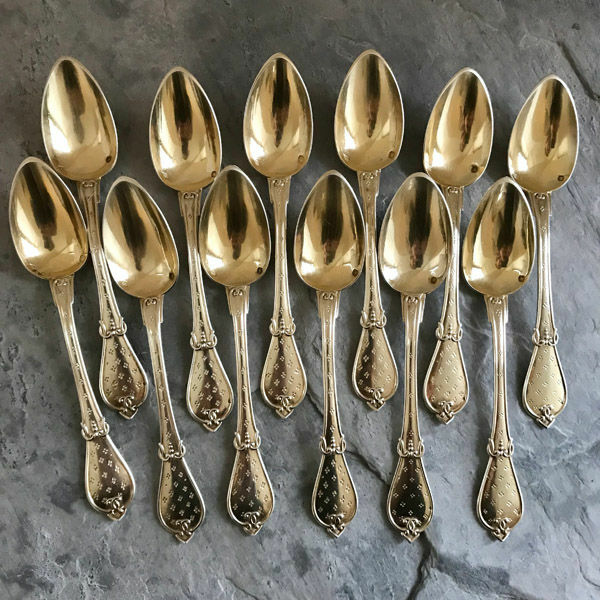 Bigorne with insects and herringbone patterns. 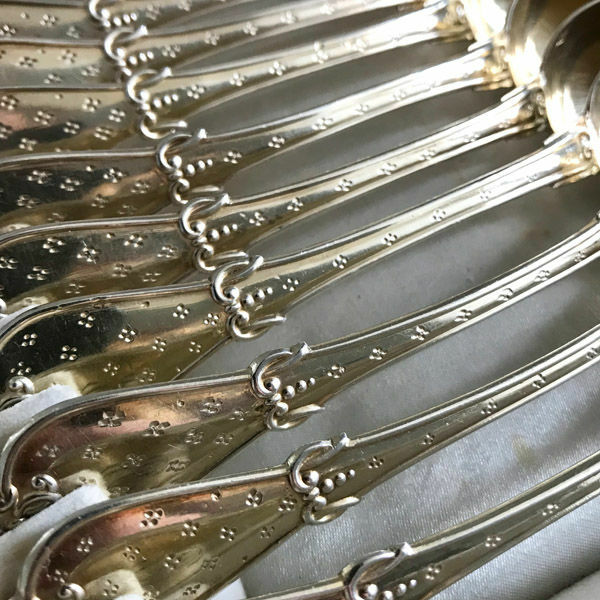 Silversmith’s hallmark: ‘PB’: Philippe Berthier (1841). 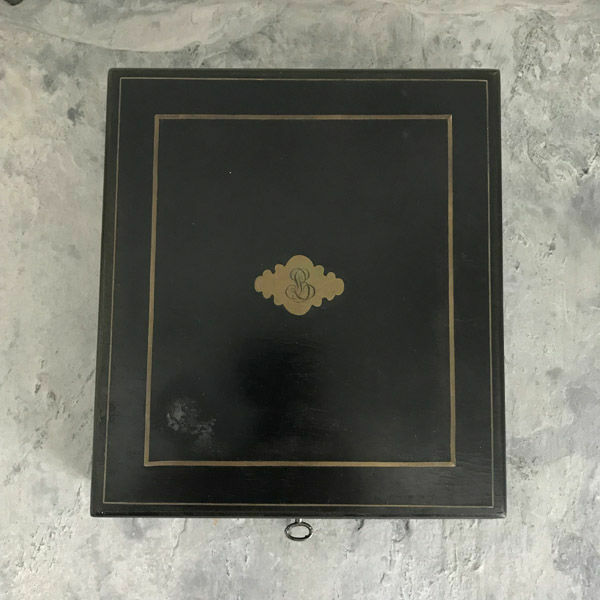 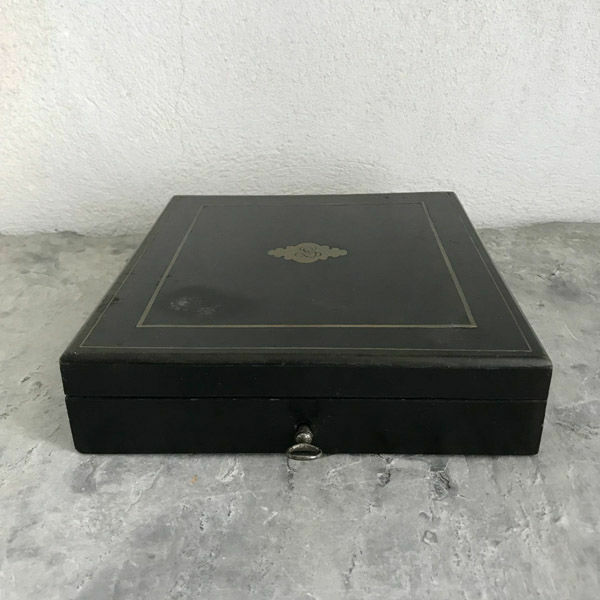 In their original case (numbered) in blackened pear tree with its key (working). 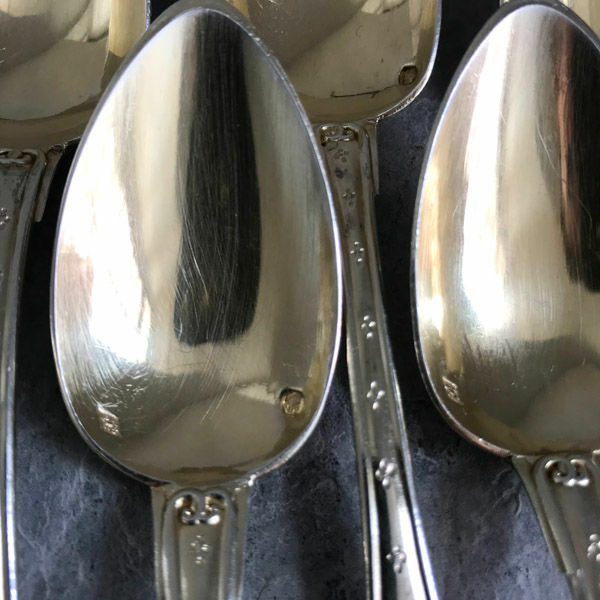 In good condition, some scratches from use and light silver losses.